Selected titles located at KCC Library. An index to magazines and journals published in or about Hawaiʻi & the Pacific. How to request articles from other libraries. Available online, full-text. "Coverage of contemporary developments in the entire Pacific Islands region, including Melanesia, Micronesia, and Polynesia." Current & past issues are also available in print at KCC Library. Print and also available online via EBSCO. "The study of mankind in the Pacific Islands (including Hawaii and New Guinea)...concerned generally with political, economic, religious and cultural factors affecting human presence there. " Available online, full-text. 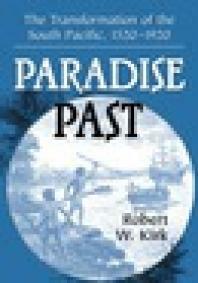 "The scholarly study of past and present New Zealand Māori and other Pacific Island peoples and cultures." Available online, full-text. "Dedicated to the study of human thought, behavior, and culture in Micronesia." Available online, full-text. "...e-journal focusing on indigenous Pacific issues." The intellectual works and unique collections of the UHM academic community. 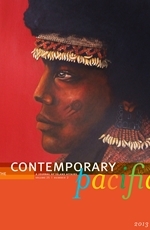 Publications from the Center for Pacific Island Studies are available here. A UHM online repository of digitized materials. Between 1938 and 1939, Oliver conducted research on Bougainville, among the Siwai (a.k.a. Siuai) people. The majority of these images derive from that period, and were donated to the UHM Pacific Collection following Dr. Oliver's death in 2009. Photos from throughout Melanesia, on a variety of subjects, taken between 1955 and 1956. These images mostly derive from 18th- through early 20th-century published works that are held in the UHM Hawaiian and Pacific Collections rare vault. A wide variety of images documenting early depictions of Hawai'i and Pacific culture and society. Documents Dr. Tobin's lifetime of working within the Marshall Islands and Micronesia more generally, beginning in the 1950s and ranging through the 1980s. Includes images relating to nuclear testing and dislocation/relocation of Marshall Islanders. Note: This collection is currently under construction, with more photos to be added over time. 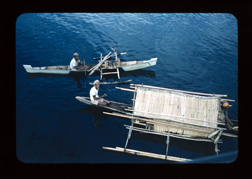 Early post-WWII images of Micronesia, as shot by a civilian employee of the Trust Territory. A good companion to the Trust Territory Photo Archives. Photographs by Dr. Robert Kiste and Dr. Leonard Mason, documenting the lives of Bikini and Enewetak islanders in the wake of U.S. nuclear testing program. Photos range from late 1940s through 1980s. Digital reproductions of materials in several distinct art and photograph collections, covering a range of geographic regions and time periods. Taken as a whole, these collections document many facets of life in the Pacific during World War II, from the brutal and the tragic to the mundane. Early 20th century photos of Rapa Nui (a.k.a. Easter Island), documenting a variety of places and subjects. Unpublished material from the SOS organization - an environmental, social, political, and cultural movement that contributed to the contemporary Hawaiian Sovereignty movement. Documents life on Satawal and surrounding islands/atolls in the early 1980s. Photos are not limited to navigation, and include a great deal of information on day-to-day life. Documents the entire Trust Territory period in Micronesia, via more than 8,000 photos. Thirty separate photo collections document numerous aspects (and eras) of life throughout Micronesia. Nearly 6,500 images. The majority are from the Solomon Islands, but collection also includes images from throughout the Pacific, including the Cook Islands, Fiji, Cook Islands, Fiji, Kiribati, Tuvalu, Papua New Guinea, Samoa, Solomon Islands, Tonga, and Vanuatu. Photos date from the 1930s through 1990s.